Around 22km from Nahan, Jaitak Fort is a historical fort in Sirmour District and perched at a height of around 1479m above the sea level. Nestled amidst the greenery enriched views of the hills, the fort lets one have the birds' eye view of the surrounding areas due to its strategic settings. The best part of travelling to this fort is the drive that passes through the scenic views. One can walk up hill to reach at the fort. The palace found inside the fort is well maintained and nicely talks about the old world charm. History It is claimed that the Jaitak Fort is has been built using the remnants of the destroyed Nahan Fort. 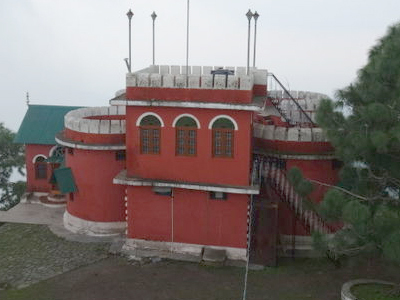 The fort was built in 1810 by the Gurkha leader Ranjor Singh Thapa. 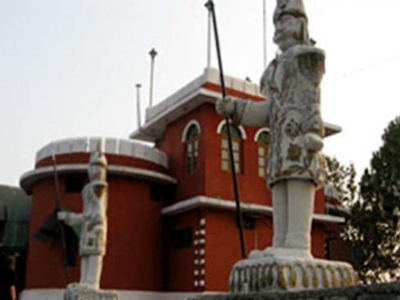 It is said that Ranjor Singh Thapa and his army ransacked the Nahan Fort and Palace and built the Jaitak Fort. It is here that the Gurkhas fought against British force. The Nepali Army, led by Kaji Amar Singh Thapa fought bravely and could defeat the British and Sirmour joint army.